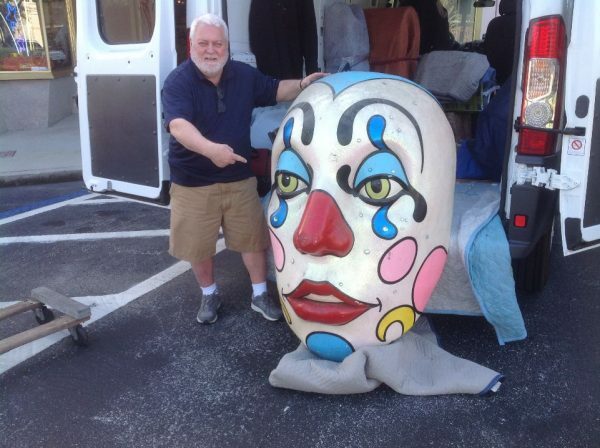 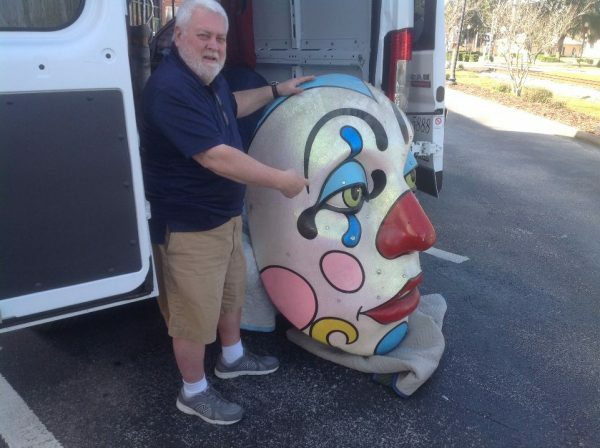 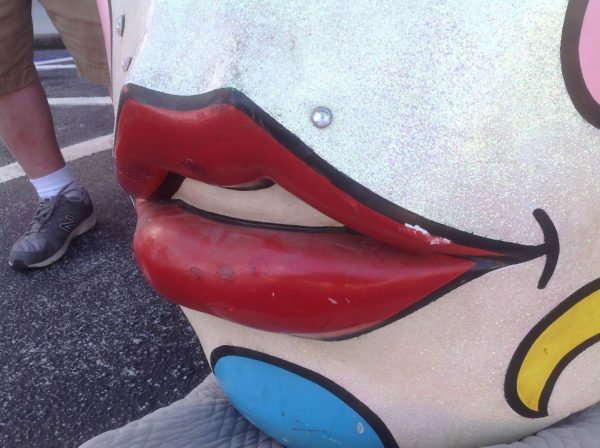 Large vintage Ringling Brothers clown head in as found condition. 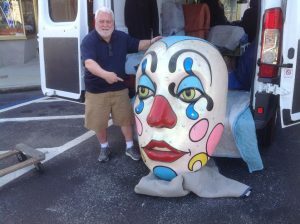 Head was used on a Ringling float back in the late 70’s early 80’s. 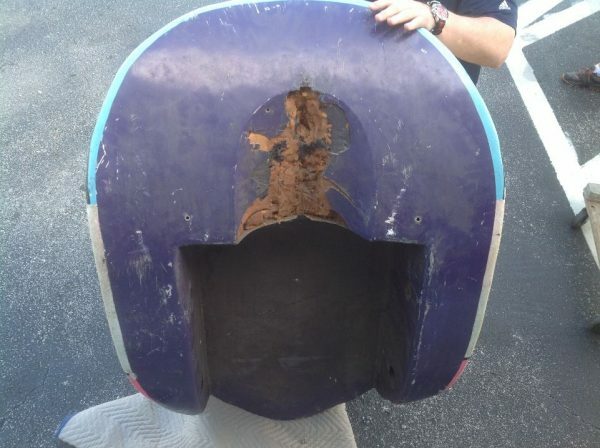 Heavy, made of old style foam and a thick layer of fiberglass sealant. Face has a few dings but otherwise in good condition. 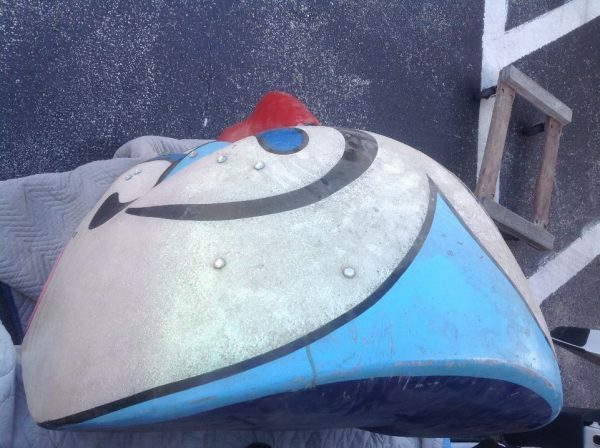 Measure about 48″ tall x 36″ wide. 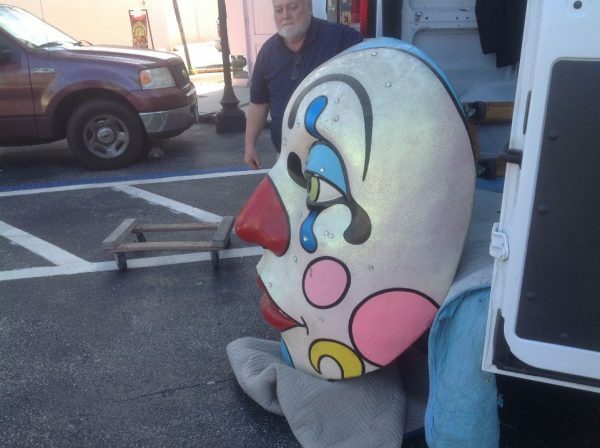 Nice colors and a fantastic find……….